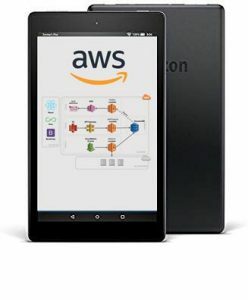 We recently launched AWS Architecture Monthly, a new subscription service on Kindle that will push a selection of the best content around cloud architecture from AWS, with a few pointers to other content you might also enjoy. From building a simple website to crafting an AI-based chat bot, the choices of technologies and the best practices in how to apply them are constantly evolving. Our goal is to supply you each month with a broad selection of the best new tech content from AWS — from deep-dive tutorials to industry-trend articles. At this time, Architecture Monthly annual subscriptions are only available in the France (new), US, UK, and Germany. As more countries become available, we’ll update you here on the blog. For Amazon.com countries not listed above, we are offering single-issue downloads — also accessible from our landing page. The content is the same as in the subscription but requires individual-issue downloads. I have to submit my credit card information for a free subscription? While you do have to submit your card information at this time (as you would for a free book in the Kindle store), it won’t be charged. This will remain a free, annual subscription and includes all 10 issues for the year. Why isn’t the subscription available everywhere? As new countries get added to Kindle Newsstand, we’ll ensure we add them for Architecture Monthly. This month we added France but anticipate it will take some time for the new service to move into additional markets. What countries are included in the Amazon.com list where the issues can be downloaded?